Whoosh! Walk into a winter wonderland with Sweet City Candy's assortment of shimmery candies and chocolates in those blues, whites and silvers that create the illusion of a wondrous winter world! Foil-wrapped candy like Hershey's kisses or dark chocolate croquettes help create a cool winter tableau. 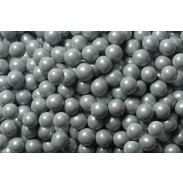 Or for that shiny shimmery sheen of an icy world try our pastel sixlets in powder blue, silver and white. 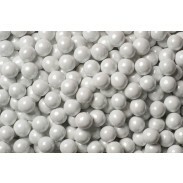 And if you're decorations call for the look of fresh virgin snow try our array of Kopper' s white candies like yogurt covered malt balls or snow almonds. 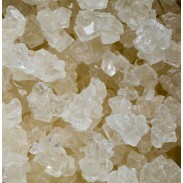 And our deliciious crystal rock candy creates an idyllic icy illusion! Sweet City Candy's entire selection of winter wonderland themed candy is listed below. If you have any questions about any of our winter wonderland themed candies and chocolates, just visit our FAQ section or contact us for more information. Our friendly staff will be happy to answer any questions.